The Family Life Center has been nominated in four categories for Sumter's Best. Please click on the link below to vote and make our Family Life Center number one!!!! VOTE DAILY for your favorite nominees Jan. 22-Feb. 28. The summer enrichment program is offered from June thru August. 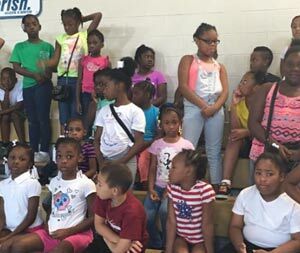 Summer Camp consists of daily bible study, reading hour, recreation and field trips. During Summer Camp, the children have opportunities for Food and Nutrition , Gardening , Music, Art, Spanish, and Computer literacy classes. 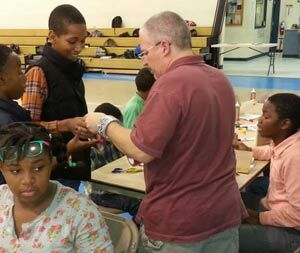 The children are encouraged to play games, socialize, and have fun! We offer video game systems for the children to play as well as basketball, table tennis, volley ball, and pool, and a host of other games to occupy the camper's time. We have partnered with the Sumter Gallery of Art to offer scholarships for free art education classes for selected Summer Camp Participants. Summer Camp hours are 8:00 am - 4:00 pm, Monday thru Friday. Breakfast, ages 6 and up, Lunch and a snack will be provided. The cost for Summer Camp is $50.00 per week. For further information, contact the Family Life Center. 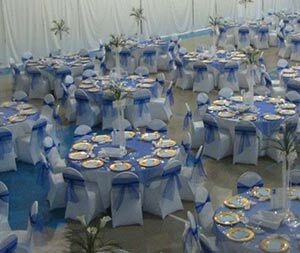 In an effort to provide total service to the community, we do permit the rental of our facility to host your organization, business, church, and family events. We have a full service kitchen that is also available for rent. The facility is available to rent for Gospel concerts and for profit events. For additional information, contact the Family Life Center.